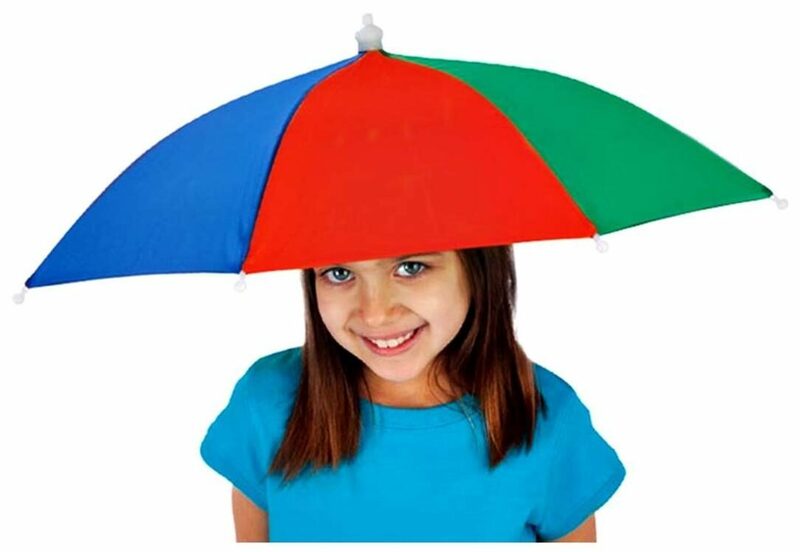 The umbrella hat is perfect for sunny and rainy days. The umbrella hat is adjustable and folds compact so you can take it anywhere. Wear the head umbrella hat just for the fun and convenience of it. Elastic one-size-fits-all headband great for sporting events, gag gifts, gardening, fishing, at the beach, pool or park.